Patrick Keenan joined PolyMet in June 2017 as chief financial officer, bringing more than 25 years of finance and mining industry experience to the executive team. He is a member of the senior executive leadership team, contributing to the overall strategic direction of the company. 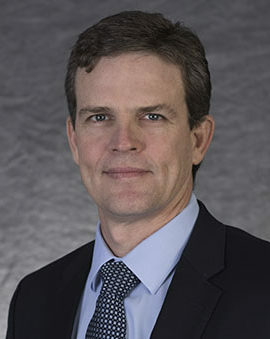 Patrick previously served as senior vice president, finance and treasurer at Newmont Mining, which he joined after more than 20 years at Rio Tinto, where he served in a variety of leadership roles including chief financial officer for Rio Tinto’s Energy Group based in Brisbane, Australia, chief financial officer for Kennecott Utah Copper in Salt Lake City and Rio Tinto Diamonds based in London. In these roles he had financial oversight of major open pit and underground mining operations and projects globally including diamond, uranium and coal mines, and the Bingham Canyon copper mine in Utah, one of the larger open pit copper mines in the world. Patrick holds a Bachelor of Science degree in accounting from the University of Utah. He resides in Minnesota.